With around 70% of business owners professing to market themselves on Facebook, it’s becoming increasingly important to make sure your page stands out from the crowd. Here are five examples of some of the best business pages live on Facebook today and a look into what you can learn from them. Innocent are known for the witty and wonderful messages that adorn their packaging and true to form, their Facebook page is ridden with satirical gags, whimsicality and wordplay. From the wisecracks on their welcome page, where Innocent tell us we just have to like them because it’s ‘meant to be’, to the friendly, funny and very well thought-out communication with their fans, it’s a wonder Innocent haven’t yet secured even 50,000 clicks of the ‘like’ button. 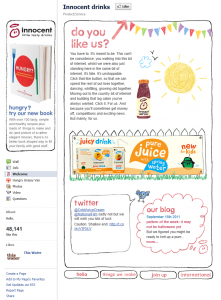 Innocent own 71% of the UK smoothie market and sell a mere two million smoothies each week; their Facebook following may still have much potential for growth, but if you’re looking for ideas on how to communicate with your fans, Innocent Drinks are ideal inspiration. A demonstration of Facebook success at the other end of the scale, Red Bull currently boasts over 22 million fans. Maybe this is due to the worldwide distribution of their products, or maybe they’ve just marketed their page better. Whatever the reason, it’s clear Red Bull are doing something right. The market leaders in energy drinks are far from subtle in their bid to get you to ‘like them’. 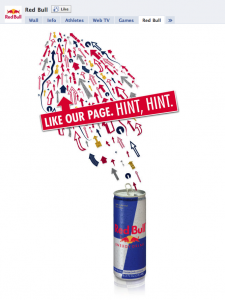 Shunning Innocent’s way with words, Red Bull’s welcome page simply tells you to ‘Like our page. 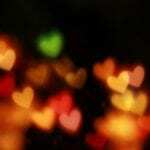 Hint, hint’. 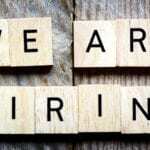 The words are capitalised and surrounded by a large red banner; tens of arrows circle the message while pointing at the all-important ‘like’ button. Once a fan of the page, you’ll realise that Red Bull have utilised Facebook to the very max. Far from the pitter-patter of company information and a bit of wall interaction, fans of Red Bull can enjoy games, apps, videos and even Red Bull TV. Few companies might have the budget to execute this sort of campaign but if you do, take a few hints from the bulls; the customer loyalty this sort of interaction will create is unbeatable. Proof that you don’t need to be a multi-million pound, worldwide business to have a great Facebook page; this independent, Edinburgh based restaurant is the perfect example of how Facebook can be used as a makeshift website come marketing tool. The focus of their welcome page is a brief video, yet it also features the restaurants address, phone number, opening hours and reasons for ‘liking’ their page. You can even download the menu. In this day and age, it’s important for businesses in the restaurant industry to provide people with this information. 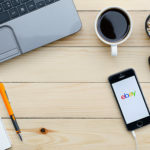 Potential customers want to see what’s on offer before they arrive, and they want to gauge how much they’re likely to spend. 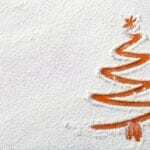 Once a fan of the page, users gain access to deals and competitions. 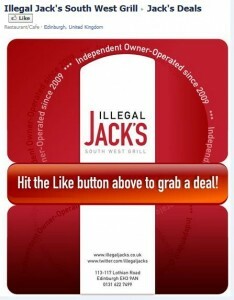 If you’re in the restaurant industry, Illegal Jack’s are a fine example of how you should be marketing your business via Facebook. Another example from the restaurant industry; this small London based chain of French restaurants demonstrates how not to make your business the be all and end all of your page. As well as a brilliantly designed welcome page, complete with links to relevant sections of their site, Chez Gerard have caught onto the fact their customers and fans might be interested in more than just them! They offer up French recipes and information on French films. They even try and inspire us to visit France itself. 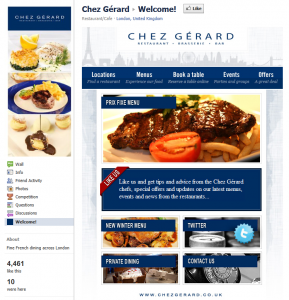 Chez Gerard is the perfect example of how the smaller business should handle social media. Unlike worldwide firms, who can afford to talk about themselves all day and still have their fans hanging onto their every word, lesser known businesses need to do much more if they want to keep us interested. Okay, our fan base may be small and I might be a tad bit biased, but the Facebook page for our very own online marketing company ain’t half bad! 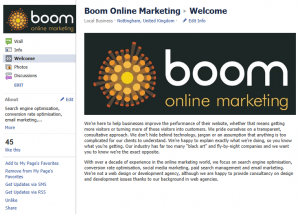 If you liked this post, come along and like us on Facebook so you don’t miss out on the future writings, brilliant insights and general ramblings of the Boom Online Marketing team!